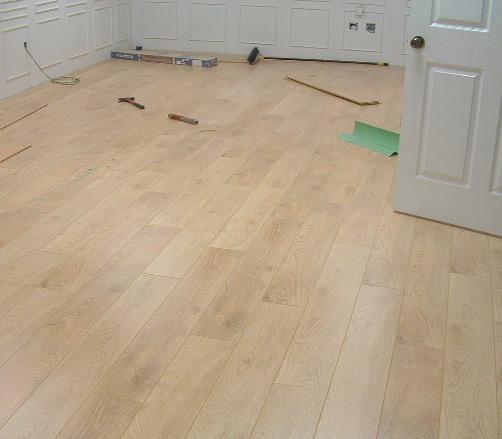 >Balterio laminate flooring was founded in 2001 and is a 50/50 joint venture between Baltagroup and Spanogroup. 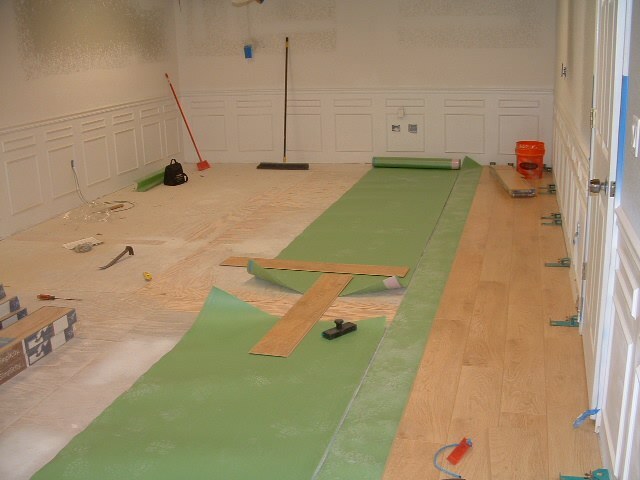 Balterio laminate floors are sold in more than 55 countries and exports about 97 % of their total volume. Manufactured in Vielsalm, Belgium of Luxembourg. The laminate I installed was Tradition Quattro. 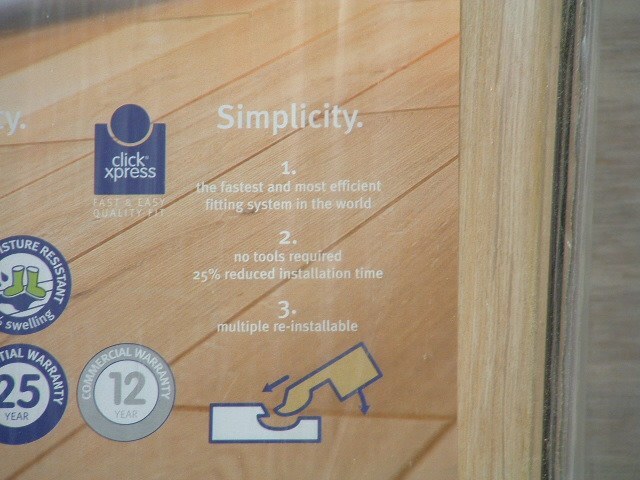 The cost of this particular laminate flooring is in the low 3.00 dollar range. There are a dozen or so different lines that Balterio manufactures, prices range from 1.27 up to 3.69 US dollars per square foot. These prices are based on FastFloors.com. Click on the ad to the right to see prices and all the colors they carry. These planks measured 50 inches by 7 ½ inches, and 9mm thick. The finish was a rustic look with a slight bevel on all four sides. This products locking system is not a lay flat tap together design. I had to connect the short ends first and then tilt the board up at an angle and then hammer it together with my tapping block. I used a wedge inserted under the plank to keep it raised at an angle while I tapped it together with my tapping block. 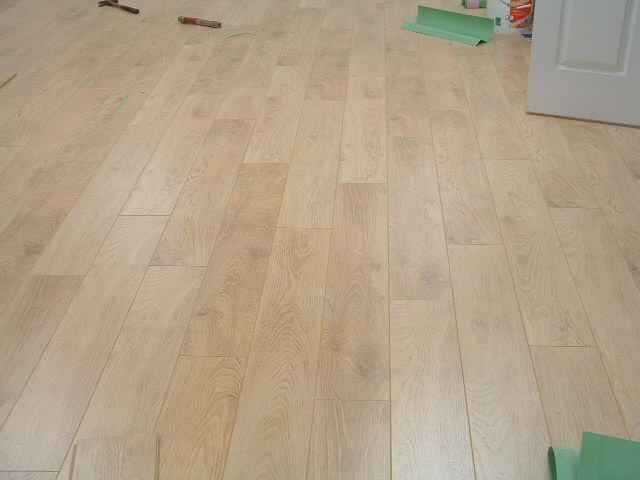 The label in the package read that there are no tools required and I could lay this floor 25% faster. So much for instructions. 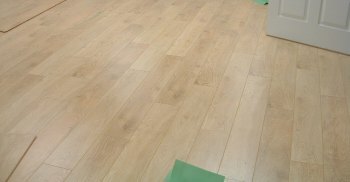 This laminate is very durable with a AC rating of 4, The core of this laminate is a strong and hard to damage. The overall look of this floor was very pleasing. It is definitely made to stand up to traffic. I installed this in a commercial area, an office and a conference room. This installation would have been more time consuming if I installed it in a home. Installing a laminate flooring with this type of locking system requires you to shave off some of the locking system when installing underneath door jambs. After shaving you have to apply glue. On this particular install I was able to start at the door rather then work up to the door. If I had a door on the opposite wall I would have to shave and glue the edge.